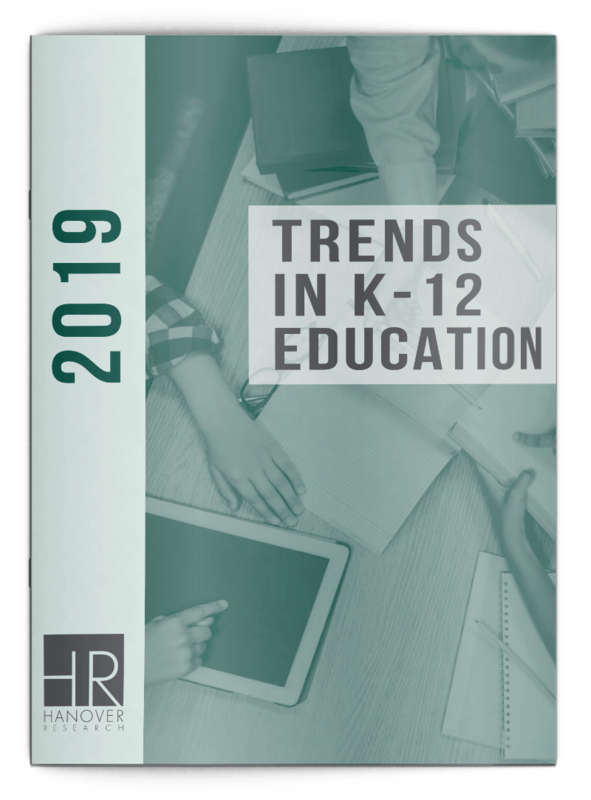 Hanover guides K-12 leaders in tackling academic and administration challenges in a rapidly-changing environment to ensure that students, parents, and staff have the tools they need for all students to succeed. 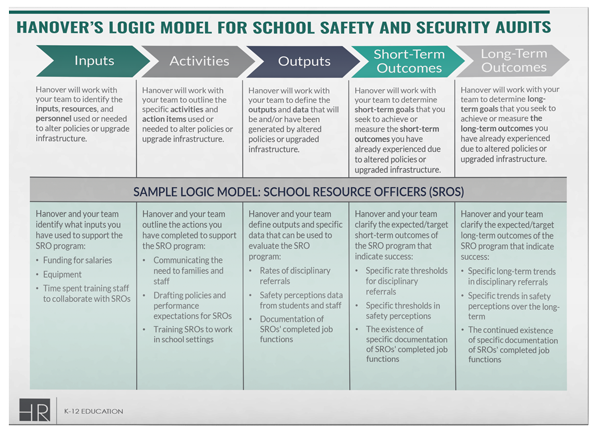 Hanover built its K-12 Solutions based on more than 10 years of experience supporting over 700 school districts, regional education agencies, state departments of education, independent schools, and non-profit organizations solving critical instructional and administrative challenges. 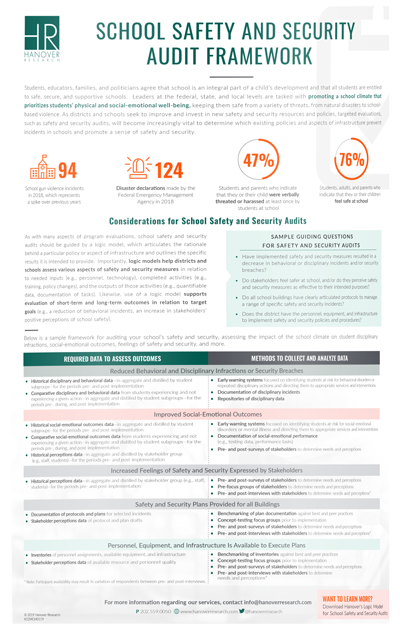 Our comprehensive solutions use a multi-methods approach including data analytics, survey research, benchmarking, best practice identification, in-depth interviews, and focus groups to help K-12 leaders in every department manage their toughest challenges. Build a high-performing administration that is the first choice for students, parents, and staff. Ensure College and Career Readiness: Support on-time student graduation and prepare all students for post-secondary education and career success. Evaluate Programs: Measure program effectiveness to support informed investments in resources that maximize student outcomes and manage costs. 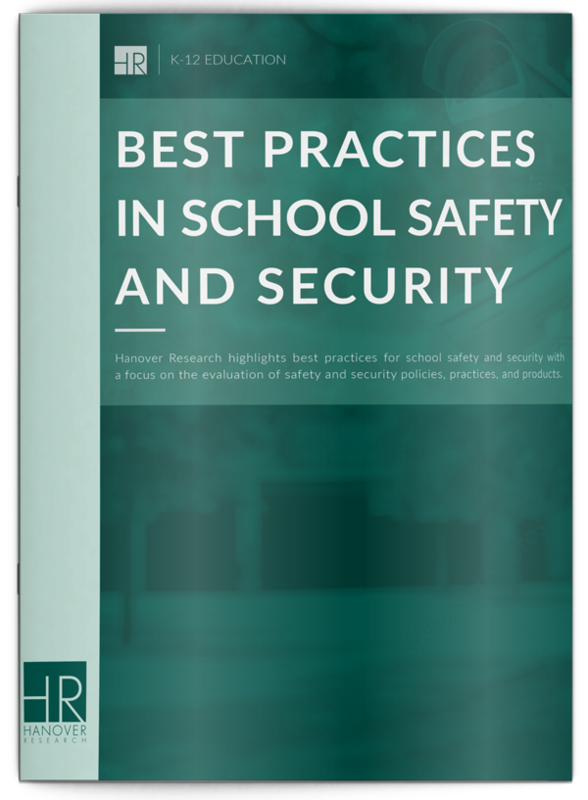 Build Safe and Supportive Environments: Create an environment that supports the academic, cultural, and social-emotional needs of students, parents, and staff through a comprehensive annual assessment of climate and culture. 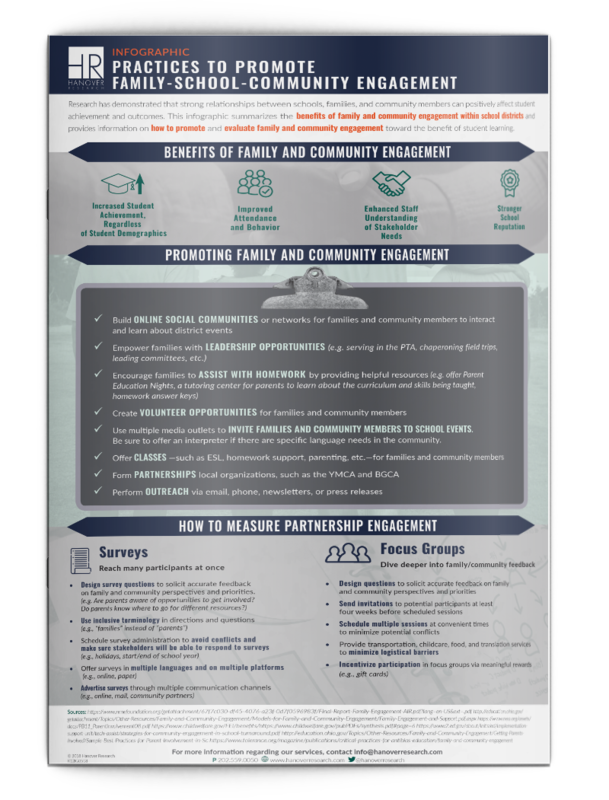 Engage Families and Communities: Expand and strengthen parent engagement and identify community partnerships that support student success. 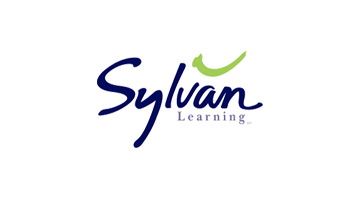 Recruit, Retain and Develop Talent: Attract and retain highly-qualified staff through an enhanced understanding of the teacher experience and staff professional development needs. Improve Operations: Proactively address changes in demographics, enrollment levels, and community expectations in your budgeting decisions. Hanover’s Grants Solutions support your grantwriting needs from a la carte support to full proposal development. Grantseeking Capacity: Develop your organizational capacity to pursue grant funding. Funding Research: Spot grant opportunities aligned to your funding needs. Pre-Proposal Support: Facilitate the development of competitive project concepts prior to submission. Proposal Review & Support: Provide review and revision to ensure the robust proposal submissions. Proposal Development: Engage full proposal development support.